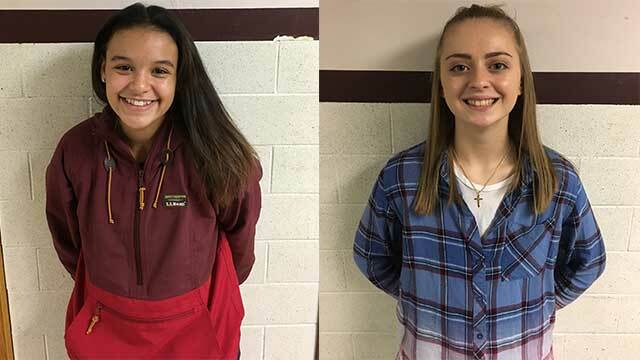 Congratulations to Riley DeCola & Mara Briggs for being selected for Student-Athletes of The Month by the Lyons Central School District for the month of September..
Riley is a freshman who leads the volleyball team in assists, works hard and is at every practice ready to compete. Mara, a sophomore, is a dedicated athlete and is always looking to improve her skills. She works hard every day in practices and games and shows leadership on the court. She also demonstrates a positive attitude and spends time and effort to improve her game.